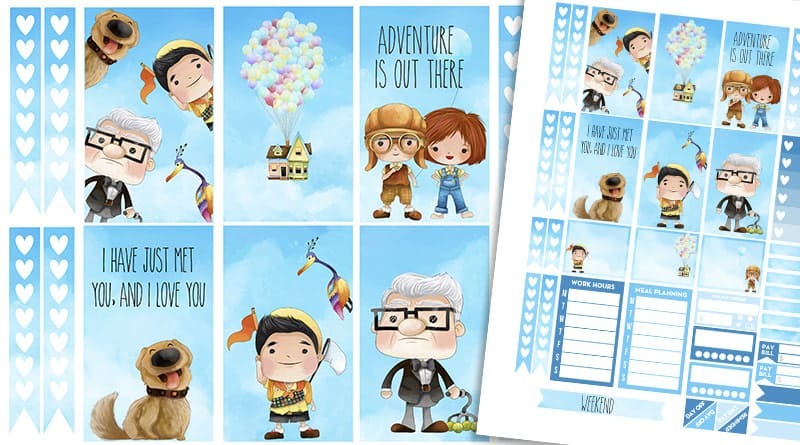 Here’s a new free printable weekly kit for your planner, inspired by one of my favorite Pixar Movie: UP. It’s the cutest love story ever told in an animation movie, and I hope this cute weekly kit will add some joy and tenderness to your week. We all could use a little extra tenderness sometimes. This weekly kit fits perfectly in the Classic Happy Planner but you can make it work with other types of planner. 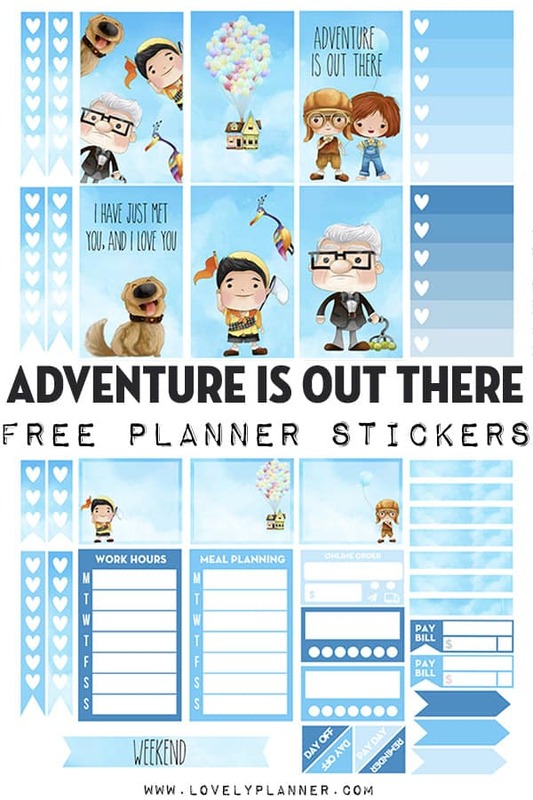 I hope you like this set of UP planner stickers. Disclosure: This page contains affiliate links. 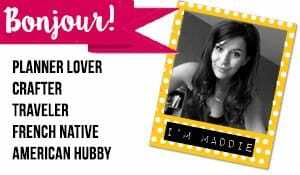 When you make a purchase using one of these links you support Lovely Planner (at no extra cost to you) and help keep its content free. Thank you!